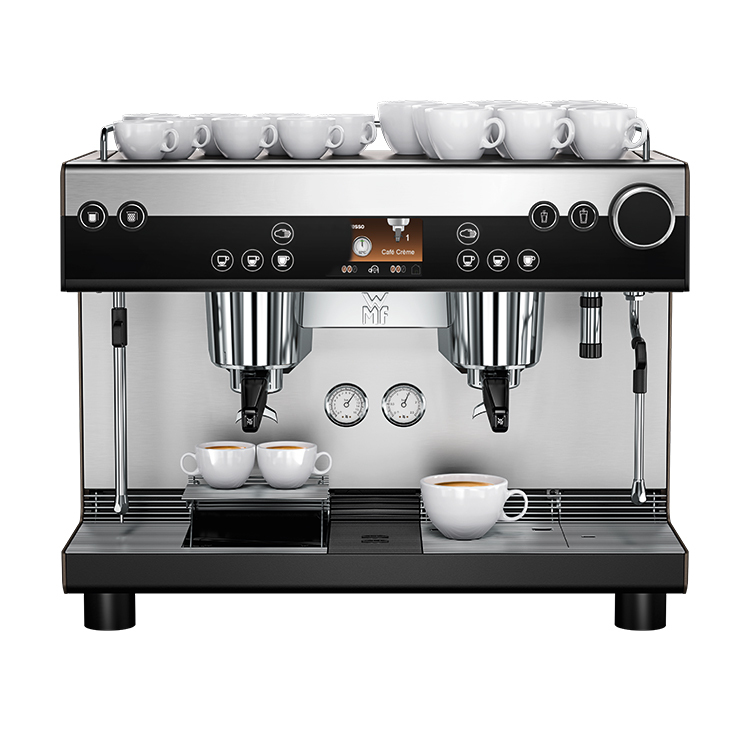 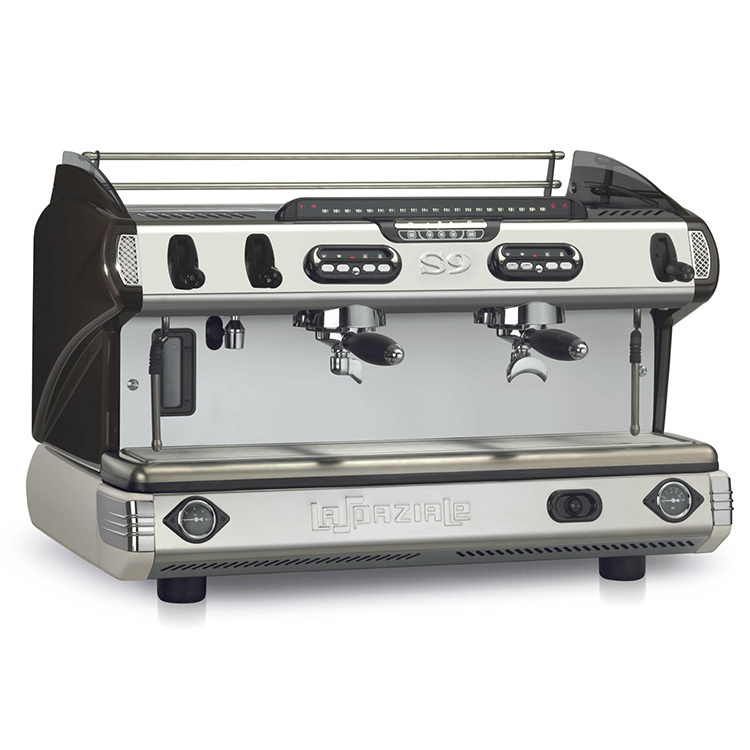 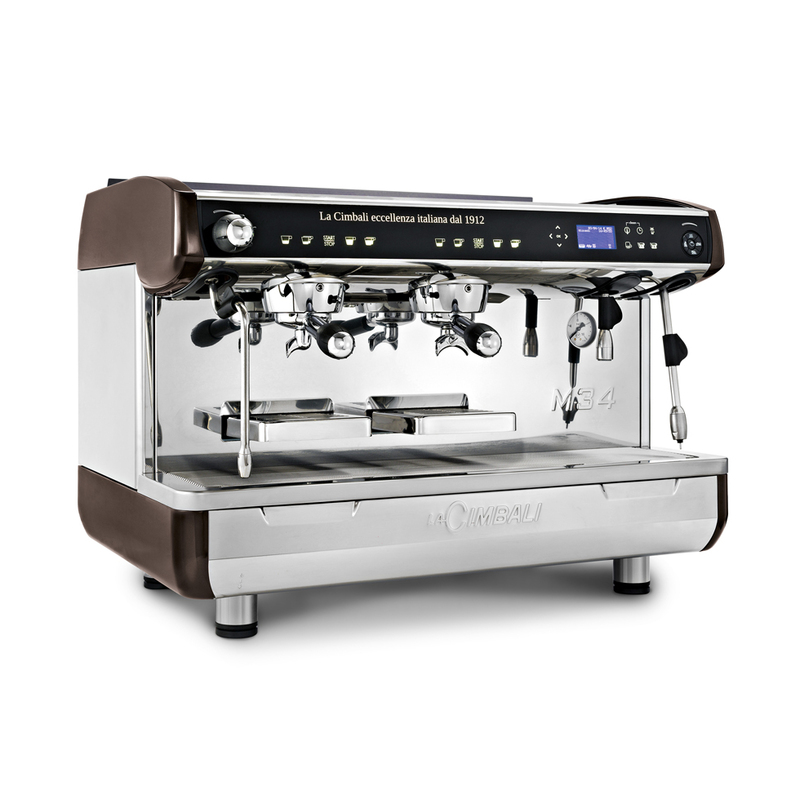 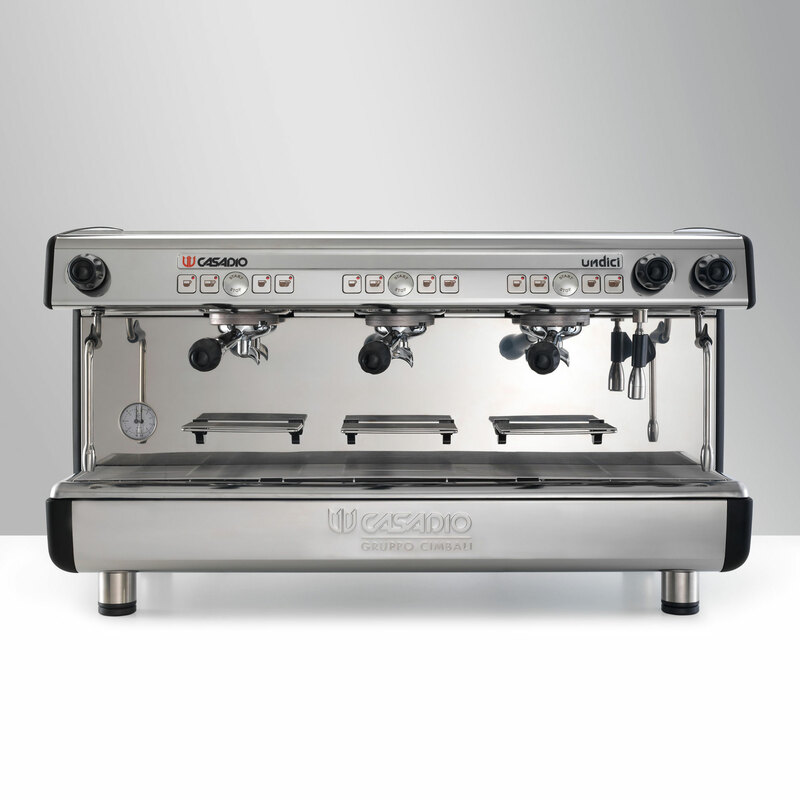 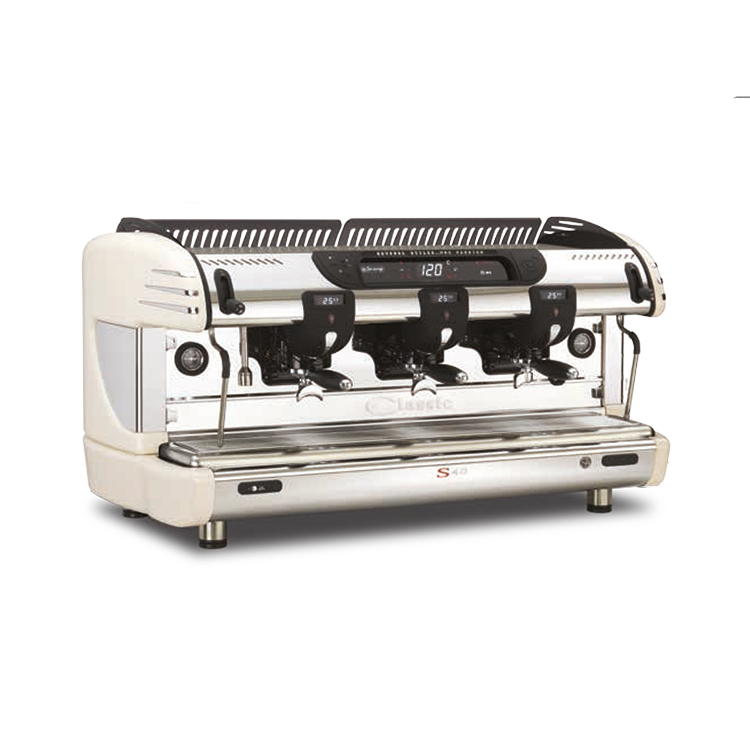 Undici is a compact, elegant, versatile machine that’s easy to use, adjust and maintain. 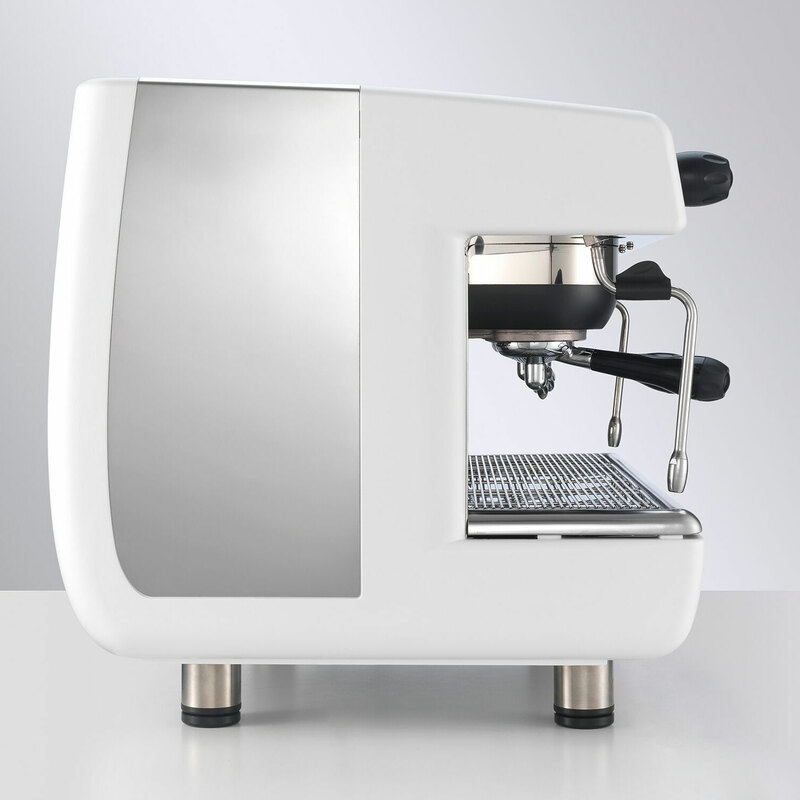 UNDICI is made of steel and aluminium. 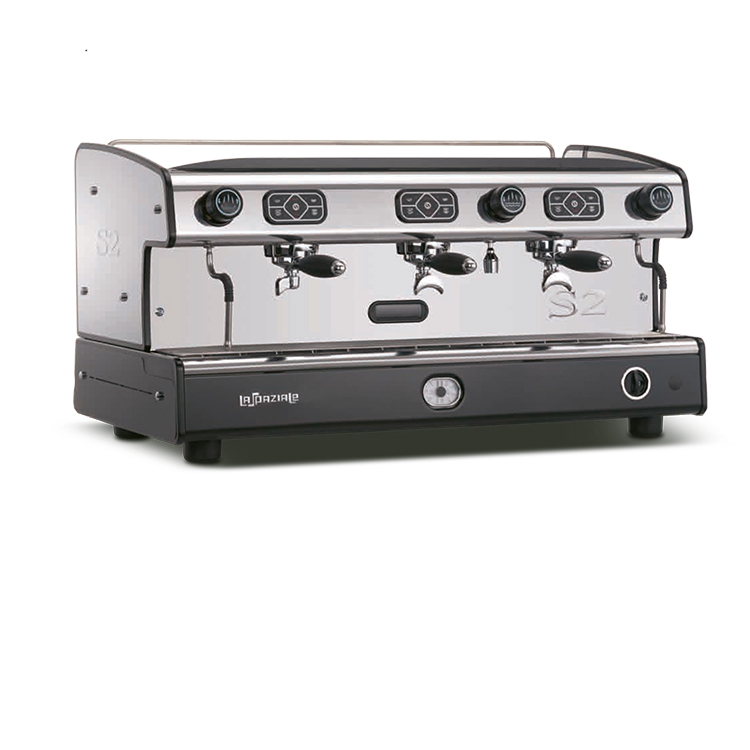 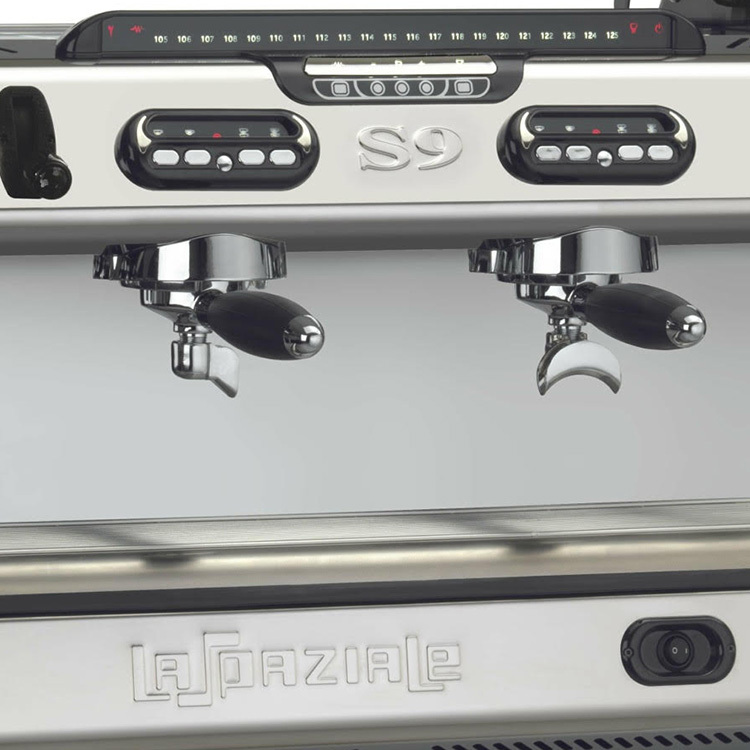 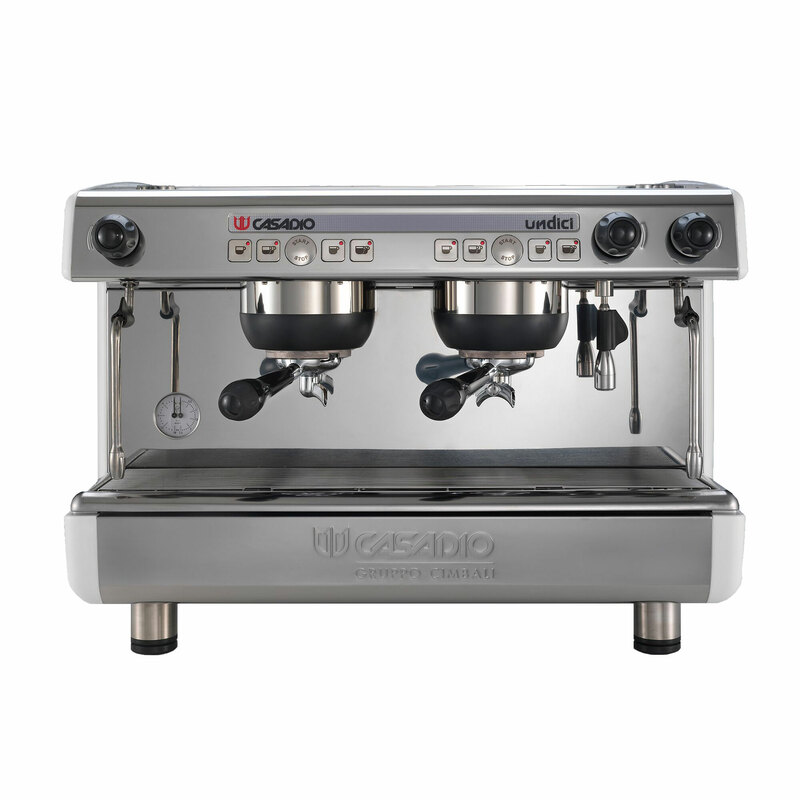 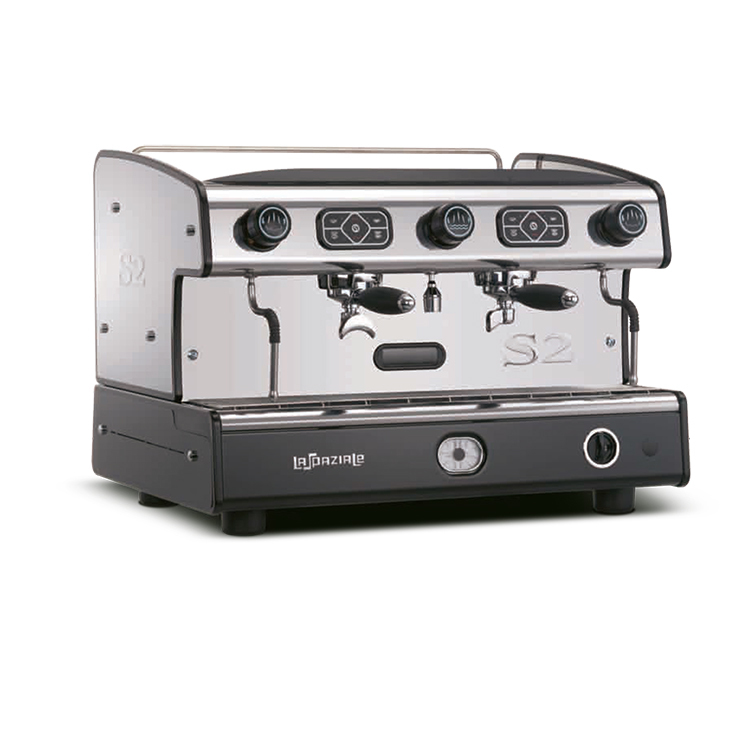 It has a fixed-nozzle thermosyphon system that’s adaptable and high-performing, guaranteeing excellent results in the cup. 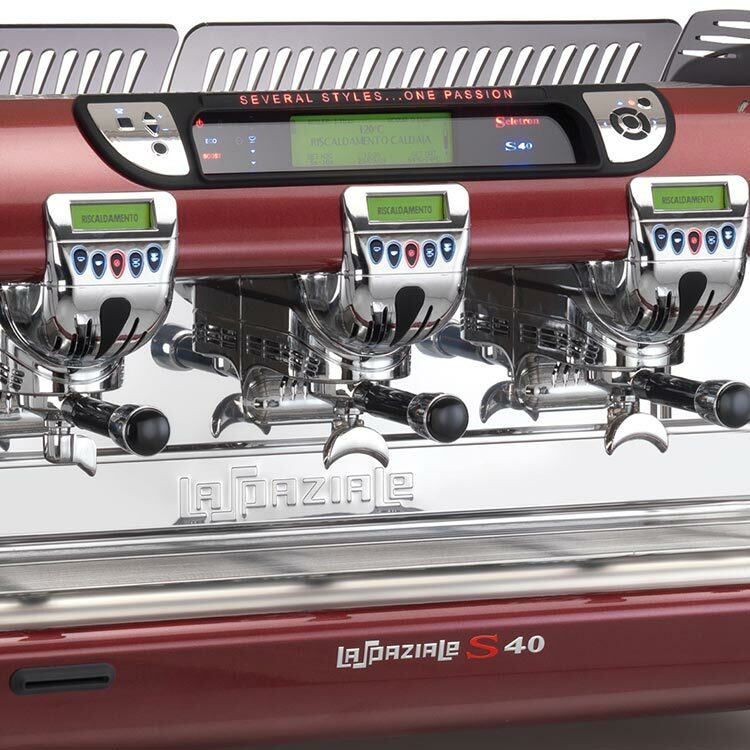 The new, mechanical button pad is in metal and lies flush with the machine. 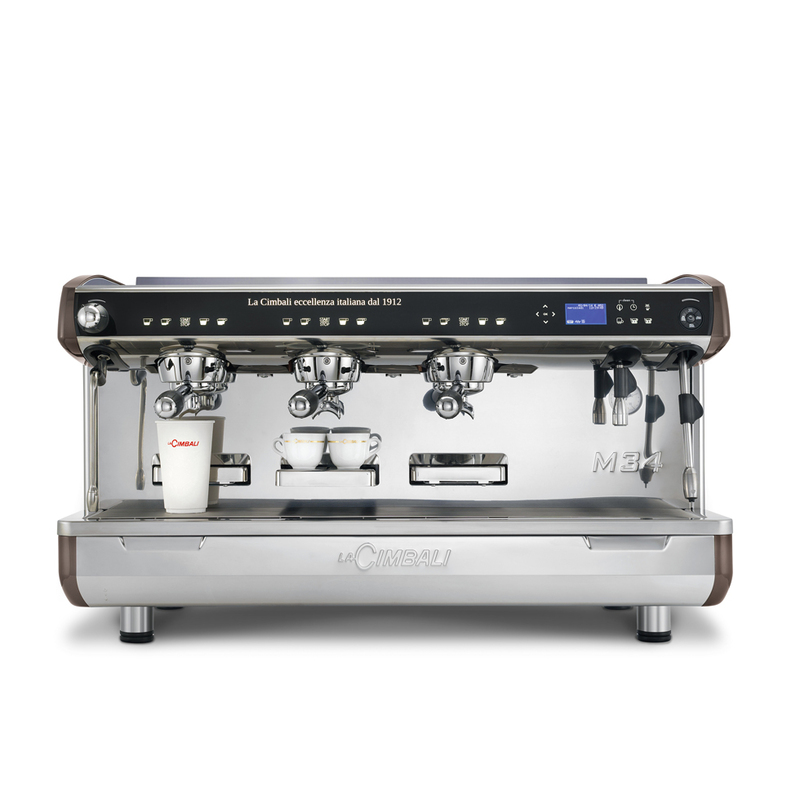 It’s user-friendly and precise, thanks to the LED lights. 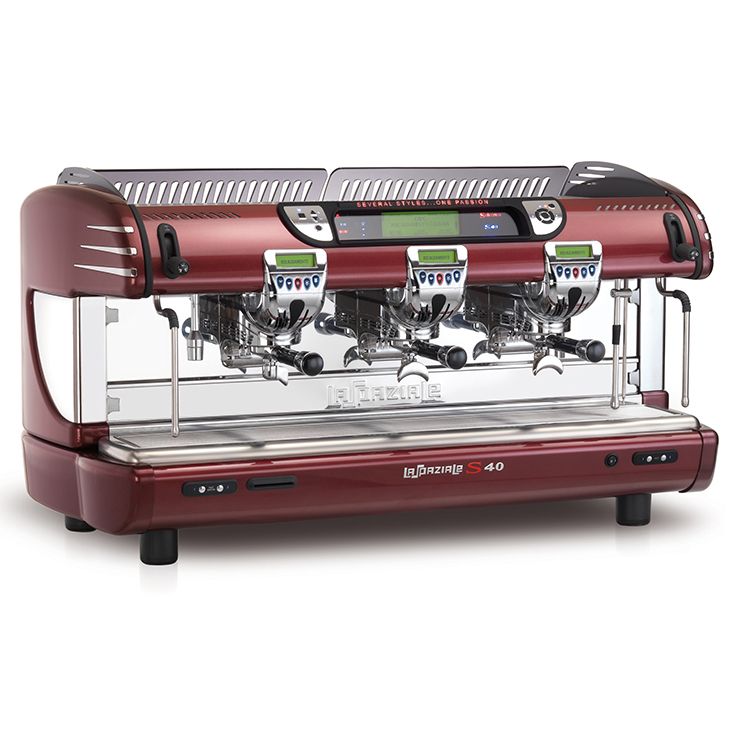 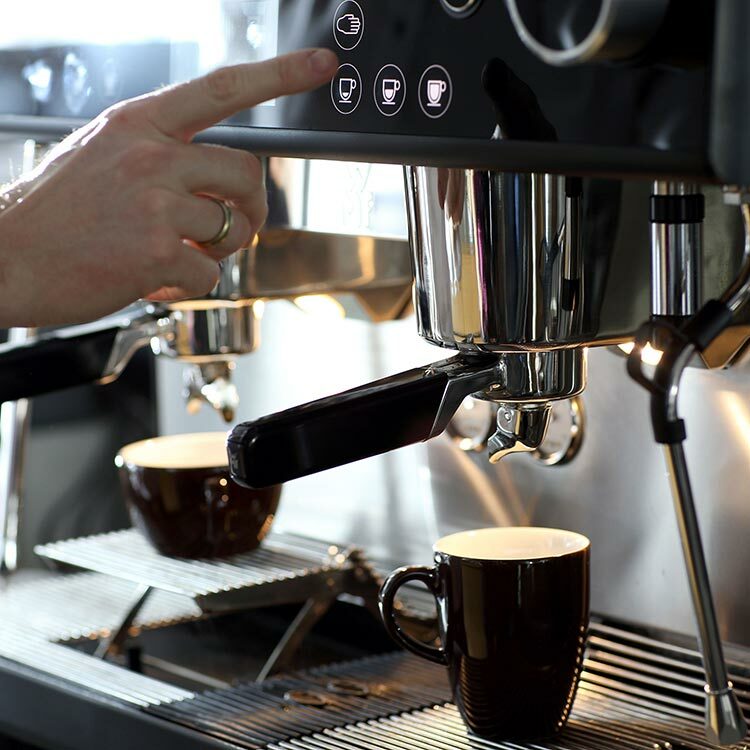 UNDICI comes in 3 colours (black, white and red) and 3 versions (semi-automatic, automatic and automatic “Coffee-to-go” for cups up to 14.5 cm high), with 1, 2 or 3 groups. 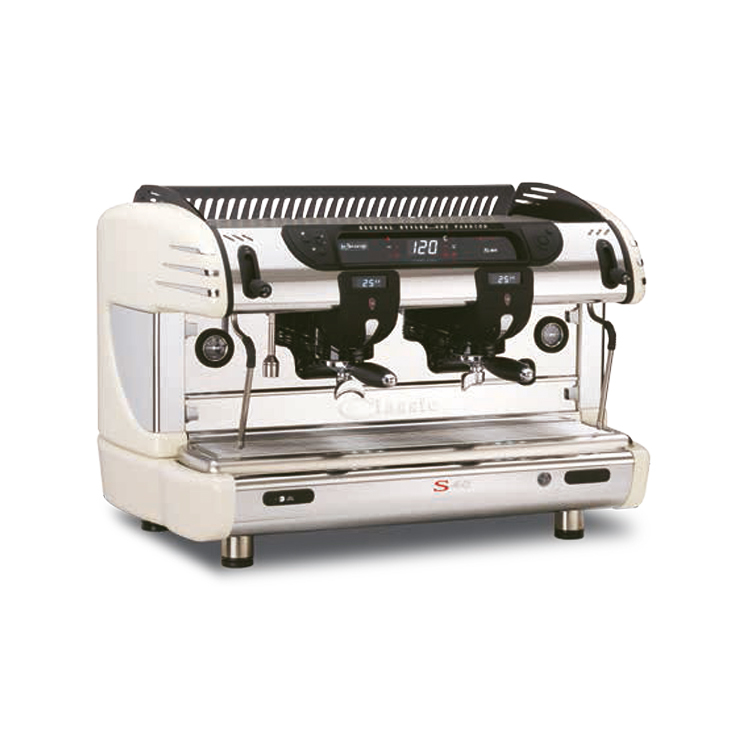 The machine can be personalised thanks to the wide front and rear logo strip.